Gallery - Category: Others - Picture: Inuyasha wa kawaii desu! 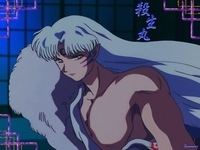 Here is Inuyasha! I had him done a few days ago but I have been busy irl! I am working on Inumama, Inupapa, Rin, and Naraku next.